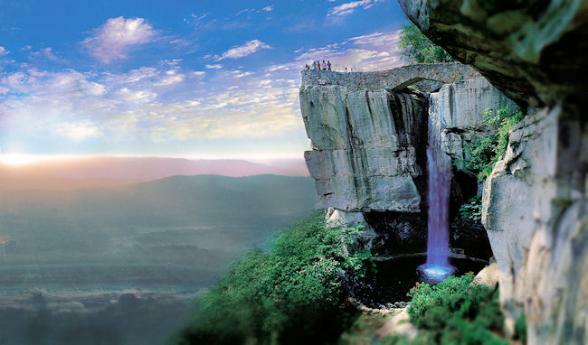 You’ll begin the trip in the Great Smoky Mountains National Park, the most visited National Park in America. Meandering on these incredibly scenic roads, you can reconnect with nature. From there, instead of taking the Interstate from Nashville, you’ll be on the Natchez Trace Parkway, a National Scenic Byway that takes you over to the Great River Road Byway and the Lower Mississippi Historic Scenic Byway in southeast Mississippi. 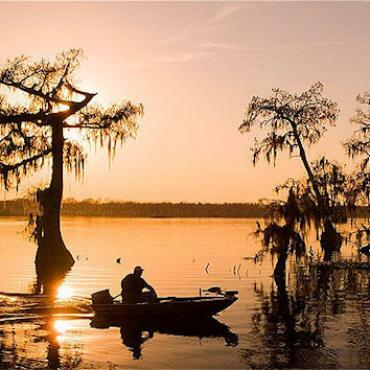 Next, you’ll travel along several scenic byways through Louisiana bayous, through towns still authentically Cajun where life has not changed a lot in two hundred years. 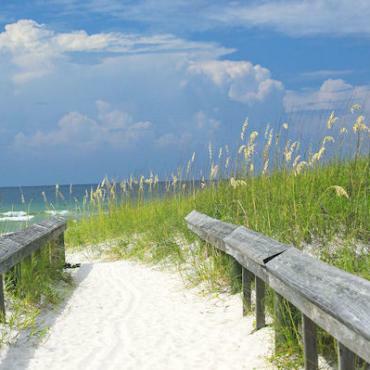 Next up, Alabama’s Coastal Connection followed by the Talladega Scenic Byway, the Appalachian Highlands Scenic Byway and the Lookout Mountain Parkway before wrapping back around to Atlanta. Atlanta represents the best of the New South. You won’t find much of Scarlett O’Hara lingering here any longer. She’s safely tucked away in the mansions and museums preserved for all time, as the rest of the city has moved on. Generally speaking, the people of Atlanta remain to be gracious and welcoming, continuing on the tradition of Southern hospitality. A good introduction to the city and The South in general is the Atlanta History Center. You will find it in Atlanta’s main museum district, six miles north of downtown and in the upscale Buckhead neighbourhood. 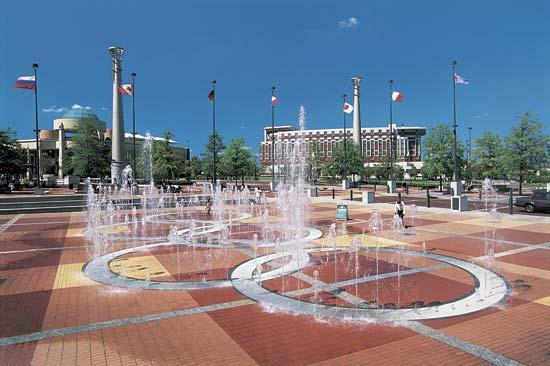 An unusual place to visit is Underground Atlanta, literally under the center of the city. Restored in the 1980s, this is a great spot for shopping and entertainment. 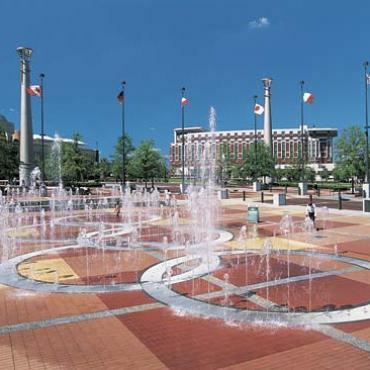 Since the 1996 Summer Olympics, Centennial Park has been the center of Atlanta. Here you will find the world’s largest aquarium, the $200 million Georgia Aquarium and the World of Coca Cola where you can view the complete story of the world’s most recognizable and most successful brand. Close by, you can take a Behind the Scenes Tour of the CNN Studios which provides a fascinating look at the organisation that changed the way the world views news. Try to get an early start today so you can begin exploring your first byway. Instead of dashing on the Interstate from Atlanta, a drive up through scenic Northern Georgia takes you to the Tennessee border, where you can catch the Ocoee Scenic Byway at Copperhill. The first National Forest Byway in the nation, The Ocoee winds through the Cherokee National Forest, travelling the scenic bluffs of the Ocoee River Gorge. At the end of the Byway in Ocoee, you’ll be close to Chattanooga which was put on the musical map in 1941 when Glenn Miller’s big band swing anthem, Chattanooga Choo Choo became the first million-selling hit to earn a gold record. 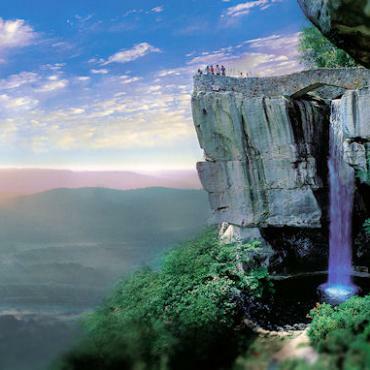 Rock City has been an institution atop 2,000 foot Lookout Mountain for decades. Nearly 150 foot high Ruby Falls, the nation’s longest underground cascade, is located underneath the mountain deep in limestone caves. The Tennessee Valley Railroad offers the Missionary Ridge Local for an hour long trip into the mountains surrounding Chattanooga. Plan to spend the whole day exploring Great Smoky Mountains National Park. It’s well worth the time. 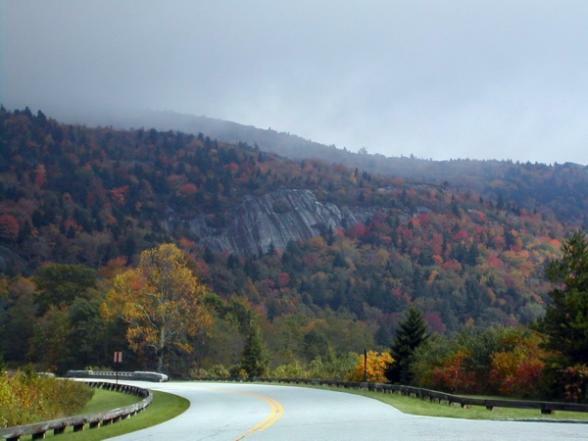 As the Blue Ridge Parkway meanders south, the blue haze which gives the Parkway its name gradually turns to a misty gray, the namesake of the Great Smoky Mountains. Travelling the serpentine byway through the mountain ridges offers unbelievable views. Great Smoky Mountains National Park encompasses over 800 square miles and remains one of the most pristine natural areas in the East. 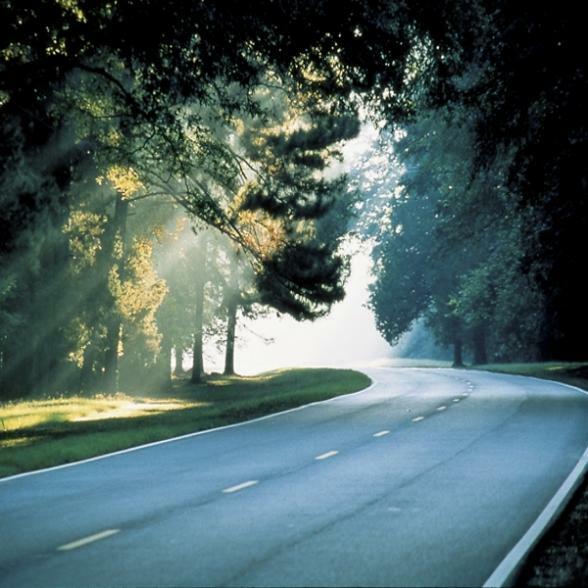 There are 384 miles of roads to choose from and the speed averages 30 miles an hour. The most visited location in the Park is Cades Cove, a broad valley surrounded by mountains. An 11 mile one way loop road circles the cove. Some of the best opportunities for wildlife viewing can be found here, White-tailed deer are frequent as well as bears, coyotes, and wild turkeys. Roaring Fork Road is another favorite with visitors. The drive offers rushing mountain streams, old-growth forest, and well preserved buildings along the route. 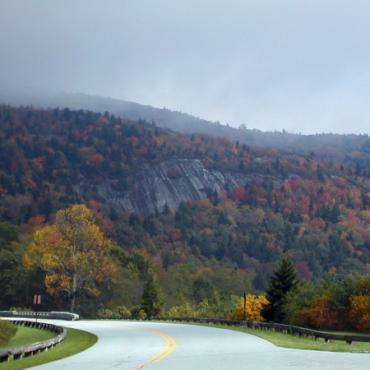 At some point you’ll want to travel on the Cherohala Skyway National Scenic Byway which winds 51 miles across the mountaintops at 5,000 feet. The Charles Hall Museum and Skyway Visitor Center are located at the western gateway to the Skyway. Founded in 1779 and designated the Tennessee State Capital in 1843, Nashville is an old Southern city and about more than music. The General Jackson Showboat sits at the waterfront where the first settlers landed on the Cumberland River. Belle Meade Plantation is a huge Old South Greek Revival mansion. Not far away, the Cheekwood Botanical Gardens surround an art museum, where you can explore 30 acres of flora and 24,000 square feet of visual art. Consider a dinner cruise on the Cumberland River to relax at the end of day of a day of sightseeing. Have a drink at Tootsie’s Orchid Lounge, the last remaining honky tonk on Lower Broadway. Second Avenue, once the stuff of warehouses and stevedores is now filled with shops, restaurants and Nashville boutiques. Visit Music Row to see the offices and recording studios of the rest of the music business. 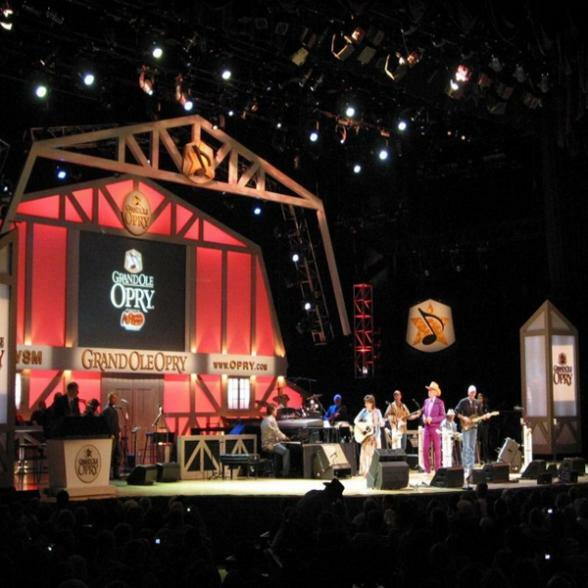 You must try some true southern cooking at the Loveless Cafe or combine your food with live music at the Bluebird Cafe. Today, one of America’s best roads less travelled awaits. 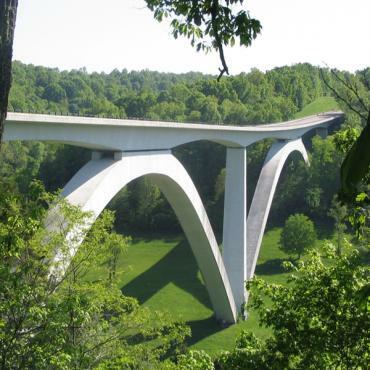 The Natchez Trace, which runs between Nashville and Natchez, Mississippi, was created by buffalo and other migrating animals. For millennia, it served as a Native American trade route that connected what is now central Tennessee with the Mississippi River. It became a colonial trade route farmers, growers and traders from Kentucky and Tennessee called Kaintucks, transported their products to Memphis and the Mississippi River, floated them by barge to Natchez and Louisiana, got paid and walked the Trace back to Nashville. By 1809, the trail was fully navigable by wagon. Soon Inns and other services critical to the Trace began to develop. You'll enjoy Tupelo, Mississippi this evening - the birthplace of Elvis Presley. Also visit the Natchez Trace Visitor Center where early New Deal cottages from the depression have been rebuilt. Enjoy southern comfort food at Romie’s Grocery Store or head to Johnnie’s Drive-In where Elvis himself was a fan of the cheeseburgers. Natchez is the oldest town on the Mississippi, founded in 1716 and the end of the Natchez Trace. The region was the first to establish plantations using the rich loess soil for robust crops. Slaves were introduced by French colonists from the Caribbean. Natchez is also one of the most beautiful and best preserved towns in the South due to the fact that the town surrendered to Grant’s army without a fight. As a result it has over 500 antebellum homes, more than any other city in the United States. It’s worth spending some time just driving around the historic district filled with impeccably preserved structures with white columns and inside filled with Italian marble, imported crystal and sterling silver. The best place to start your visit is at the Natchez National Historical Park. The Park itself includes two very different properties. Melrose, situated on 80 acres of lush oak covered land, was occupied by a prominent Southern family beginning in 1841. The William Johnson House on the other hand, was built and owned by a freed-slave who had slaves himself. The area’s Native American heritage is illustrated at Emerald Mound, one of the largest mounds in the United States. 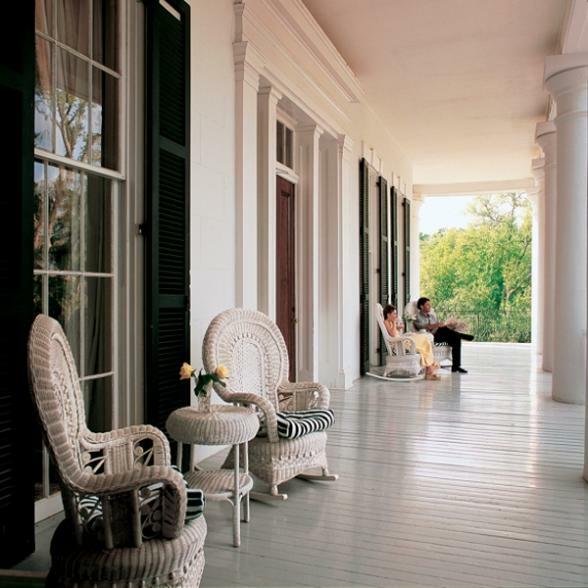 Monmouth Plantation delivers astounding accommodations in an authentic plantation home. Their restaurant also offers fine dining. Biscuits and Blues has been voted America’s #1 blues nightclub by the Memphis Blues Foundation, the W.C. Handy Organization and the San Francisco Blues Society. Since Natchez is so much more than antebellum plantations, and if other heritage in the region is of interest, there are many more things to see and do. The original home of the Natchez Indians has been reconstructed at the Grand Village of the Natchez Indians. A reconstructed Indian House is surrounded by three ceremonial mounds, two of which were excavated and rebuilt to their original size and shape. There are many opportunities for wildlife watching at the St. Catherine Creek National Wildlife Refuge which encompasses over 24,000 acres for waterfowl and their habitat. 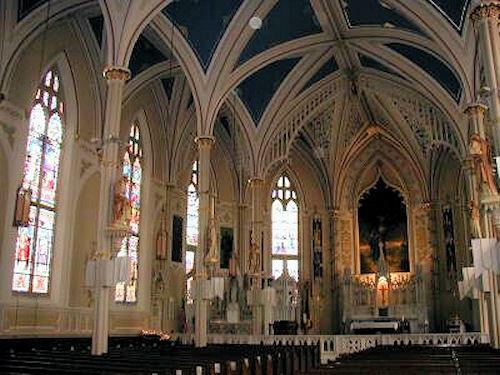 St. Mary’s Basilica, built in 1841, is not to be missed. 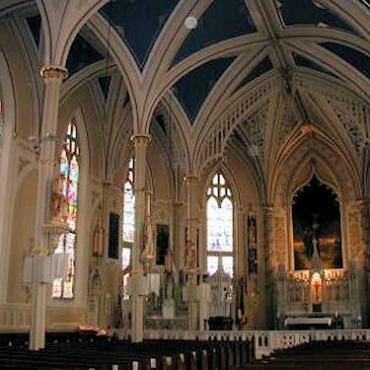 The inside is ornate with carved wood decorations, stained glass, rich fabrics and more. If you’re up for another drive, there is another scenic byway in the area that roughly parallels the Natchez Trace. The Grand-Gulf Raymond Scenic Byway begins at Port Gibson, one of the oldest remaining towns that withstood the impacts of the Civil War. The town’s Grand Gulf Military Park includes important artefacts from Civil War battles including muskets, uniforms and cannonballs. Continuing up Highway 18, the byway ends at Raymond, once devastated by the Civil War. Exhibits in Raymond now illustrate the challenges faced by settlers, Native Americans and missionaries in the region. Today you will have the unique opportunity to get up close and personal with Louisiana bayou country. 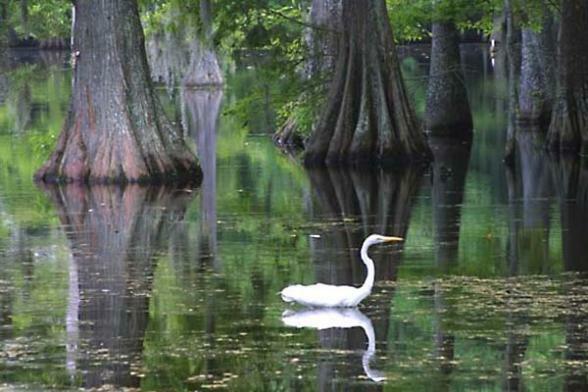 Beginning on Highway 27 near Lake Charles, the Creole Nature Trail National Scenic Byway takes you through the marshlands of southern Louisiana, among gorgeous flowering trees, abundant wildlife, lush fields and blossoming water hyacinth on the marsh. Southern Calcasieu and Cameron Parishes hug the Gulf of Mexico. The trail also takes you through four different wildlife refuges and a bird sanctuary. Several of the refuges have self-guided trails to allow you to get out into nature. For culinary delights, you can also follow the Southwest Louisiana Boudin Trail for great Cajun food. Southwest Louisiana also has a thriving arts community; where the rich cultural history makes creativity an integral part of life. The bayous of Louisiana are an intriguing place. 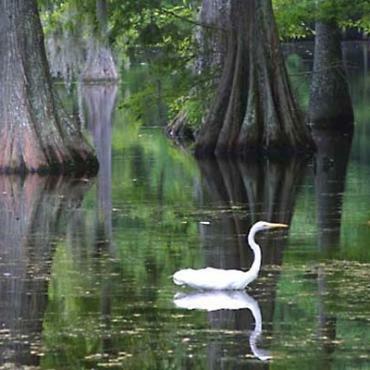 From Lafayette you can catch the Bayou Teche Scenic Byway to meander through southern Louisiana until you reach your accommodations in Houma for the evening. Prepare for a totally unique experience and allow yourself enough time to really explore the culture of the bayou. 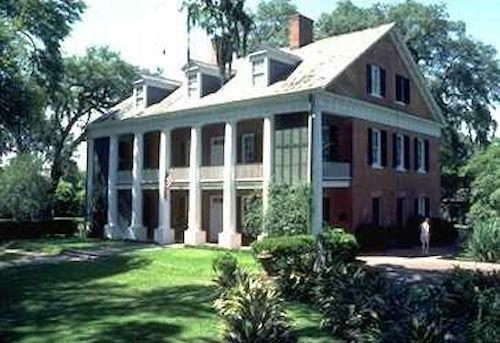 The first major attraction on your route is the Longfellow Evangeline State Historic Site. Here, the Exhibits introduce you to the diverse cultural interplay among the French speaking people — the Acadians and the Creoles - on Bayou Teche. An Acadian cabin vividly illustrates how different the lives of the Acadians and Creoles were. Once you reach New Iberia, Shadows-on-the-Teche is not to be missed. Go back in time to 1831 to explore the lives of the Weeks family, who built a home that is an interpretation of antebellum architecture to the sub-tropical climate of southern Louisiana. Nearby, the Bayou Teche Museum, opened in 2010, illustrates life on the bayou made famous by writer James Lee Burke. 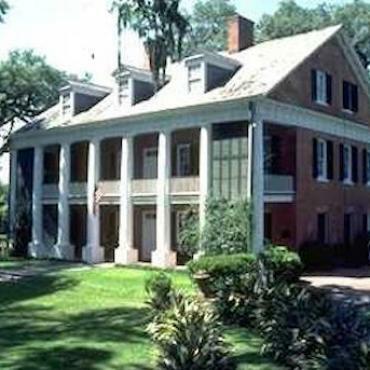 When you reach Houma, you can visit Southdown Plantation House which is also the Terrebonne Museum of History and Culture to learn more about the differences in culture further south. New Orleans is one of the coolest cities in America. The city has been jumping ever since it became the commercial hub of the Louisiana Territory shortly after settlement in 1718. New Orleans repeatedly changed hands between the Spanish and the French until it was purchased by Napoleon who ultimately sold the land to the United States in 1803. New Orleans dominated trade between the US and the Caribbean for decades which accounts for the many residents of New Orleans who are descendants of West Indies families. As a result, the city is a melting pot of French, Spanish and Caribbean influences. 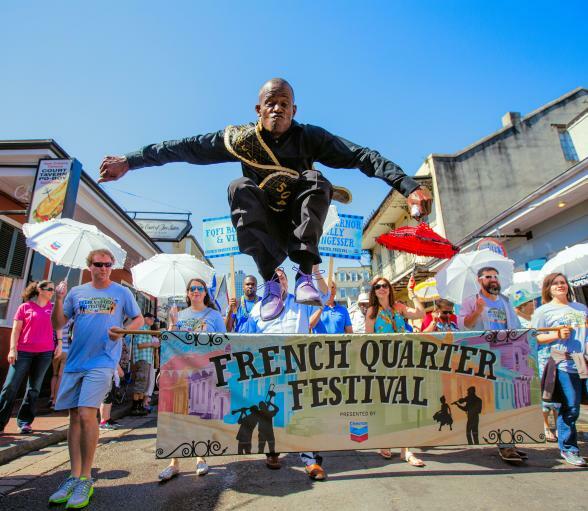 We recommend that you set aside your first day in New Orleans to explore the French Quarter. Grab yourself a French Quarter map, take a seat at Café du Monde for beignets and chicory coffee and take the time to acquaint yourself with this wonderful city. 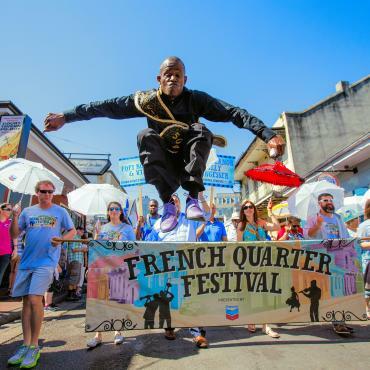 Your first stop, of course, has to be at the French Quarter Visitors Center. Rangers lead daily walks through the French Quarter to tell the story of this district and its ties to the Mississippi River. Coming across from Louisiana today you can catch the Alabama Coastal Connection at Grand Bay. Prepare for magic. When you visit America’s southern sea coast, you’ll be mesmerized by the golden sun glistening on the sparkling water. The sky is so blue that you may think it was painted with melted aquamarines. Relax at a pace that is unrushed and unhurried. It’s sunny here more than 300 days a year. And when it does rain, it’s a refreshing burst of southern showers. 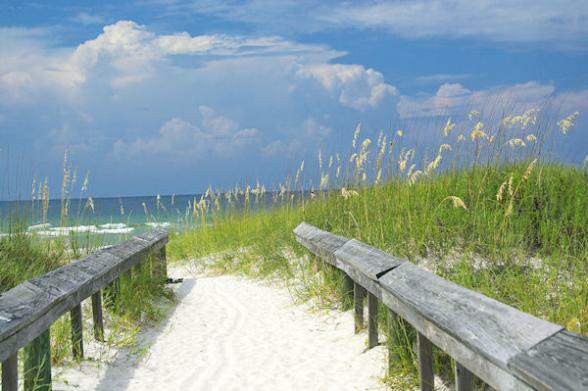 As soon as you reach Alabama, you’ll discover Dauphin Island, home to the Dauphin Island Audubon Bird Sanctuary, the Dauphin Island Sea Lab Estuarium, the Fort Gaines Historic Site and the Fort Morgan Historic Site. Wrapping back north, you’ll reach Mobile. Founded in 1792 as the original capital of the Louisiana Territory, few cities can boast such rich history and prime location as Mobile, Alabama. On your way between Mobile and Montgomery, you can travel the Selma to Montgomery Byway where you will retrace marchers' steps in their fight for voter rights. The Byway begins with the Martin Luther King, Jr. Street Historic Walking Tour, followed by a retracing of the march to Montgomery, which ends at the state capitol. The route passes the George Washington Carver Home, historic landmark Brown AME Church, and the Martin Luther King, Jr., monument. 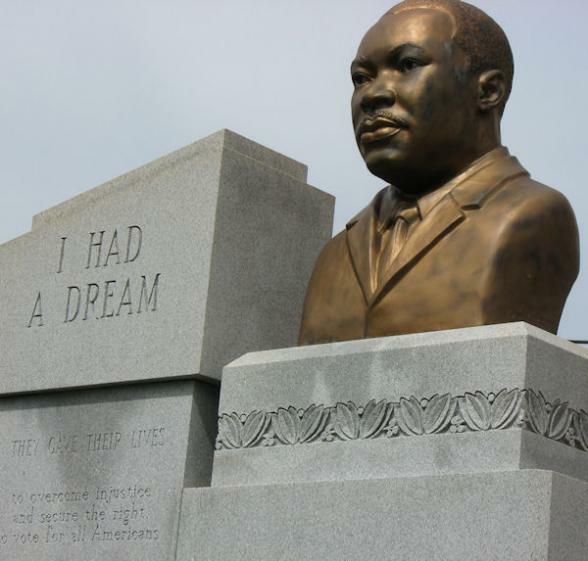 Montgomery, a city of lasting contrasts, was a hotbed of activity during the Civil Rights movement of the 1960s and also home to the first White House of the Confederacy before the government moved to Richmond. The Alabama State Capital was the place where Jefferson Davis took the oath of office as the President of the Confederate States of America and the location where Dr.Martin Luther King, Jr. gave his moving speech at the bottom of the steps, at the end of the Selma to Montgomery civil rights march. The city is also home to the Hank Williams Museum. At the Rosa Parks Museum, you can place yourself in the shoes of Mrs. Parks when she refused to give up her seat on the bus in 1955, effectively beginning the American Civil Rights movement. You can also visit the Civil Rights Memorial in downtown Montgomery and Martin Luther King Jr’s former home. On your way out of Montgomery this morning you’ll be catching scenic Route 9 that will ultimately take you to the Talladega Scenic Drive. 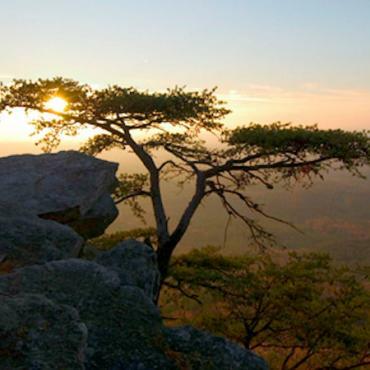 The views go on forever from the top of Cheaha Mountain, the highest point in Alabama. While sitting on top of the mountain having dinner, watching a spectacular sunset, it’s hard to believe that the drive is only 26 miles along the backbone of the southern end of the Appalachian Mountains. In this case, small is beautiful. No need to worry about the blue haze that hangs over the mountains. It’s the result of the lush green trees releasing condensation into the warm air, the phenomenon that gives the Blue Ridge Mountains their name. You can expect to see plenty of wildlife, white-tailed deer, wild turkeys, squirrels, rabbits, grouse and bobcats. Pine forests are specifically managed to provide nesting for endangered woodpeckers. 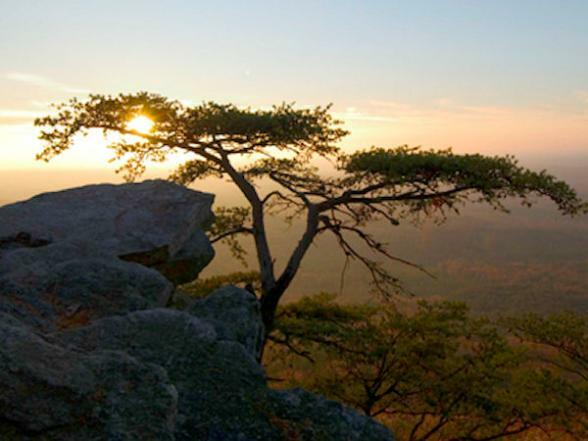 Except for road traffic, motorized vehicles are prohibited in the Cheaha Wilderness to ensure serenity for visitors. From Anniston, you’ll be travelling north to catch the Lookout Mountain Parkway. 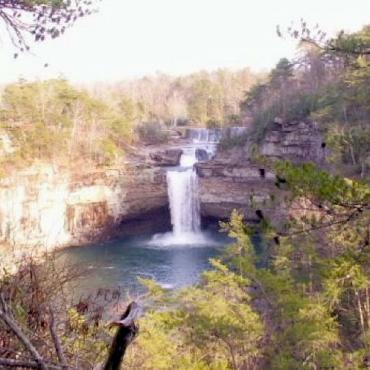 You can enjoy the scenic beauty of the Alabama side driving the Lookout Mountain Parkway south from Chattanooga. The main attractions are waterfalls, canyons, scenic brow vistas, unique towns and villages, state and national parks, nature preserves and other natural wonders. 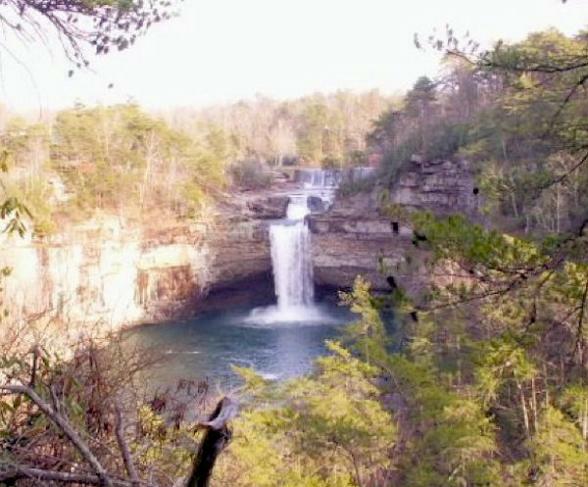 For most of the drive you’ll be looking up at places like De Soto Falls, which drops 104 feet. Looking down, you can marvel at the 17 mile gash in Lookout Mountain that forms the deepest gorge east of the Smoky Mountains. As you lift off over Atlanta, know that you have experienced a trip of a lifetime in the American South. However, your adventure doesn't have to end here, perhaps you may want to extend your stay and relax on the beaches or maybe stop off en route at New York City for some shopping and sightseeing. 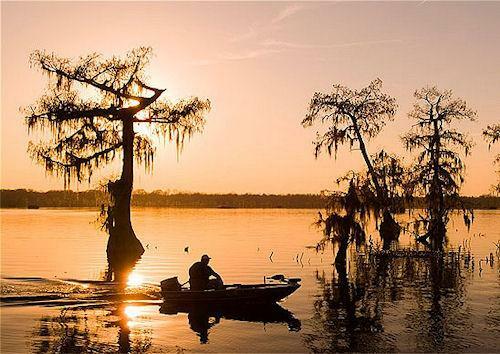 Call the USA travel specialists at Bon Voyage to discuss your ideal Backroads and Bayous of the Deep South adventure.